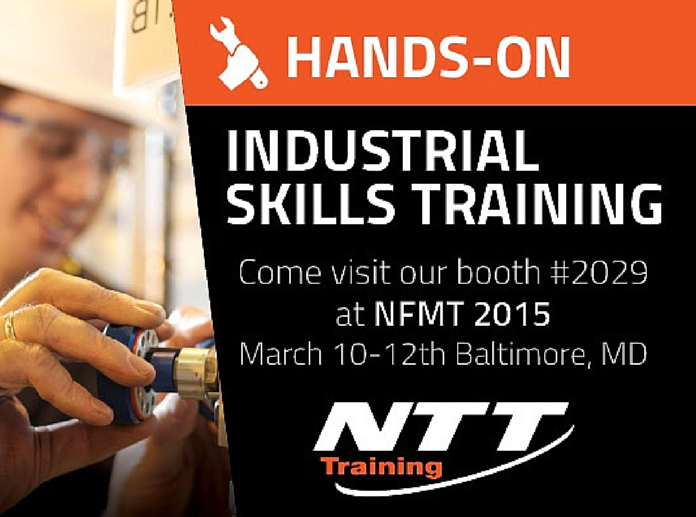 NTT Training is proud to be attending the NFMT 2015 in Baltimore, MD on March 10-12, 2015. The National Facilities Management and Technology Conference & Expo is an exciting event where facilities managers and professionals come from around the country to meet and learn about the most recent trends in their industry today. NTT Training is excited to be one of the exhibitors at this year’s event and have the opportunity to display our top-of-the line services to industry professionals and show how our training can benefit workers from all industries. Visit the NTT Training booth #2029 to find out how our training services can best meet your training needs and help increase the safety and productivity of your workforce. When you visit our booth, make sure to reference this blog post and you can receive a discount code for your next seminar registration with NTT Training. We look forward to seeing you in Baltimore! NTT Training offers 60+ electrical & mechanical hands-on training seminars led by the largest and most experienced instructor team around. Get hands-on safety and industrial skills development that you’ll use on the job immediately. For more information on NTT Training and how we can help you reach your safety and industrial skills training needs, contact us or call (800) 922-2820.